As of the end of 2013, JEERK is no longer performing in Branson. It is unknown if they will return to Branson. 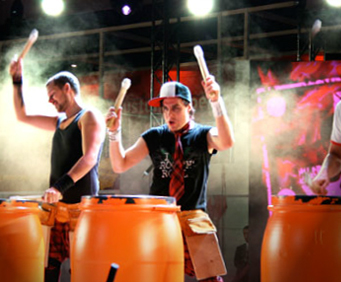 Jeerk is an upbeat performance of tap dance, drums, and musical rhythm as the group transforms everyday items into musical instruments. Watch them play with hockey sticks, a lunch box, and even a common chair. 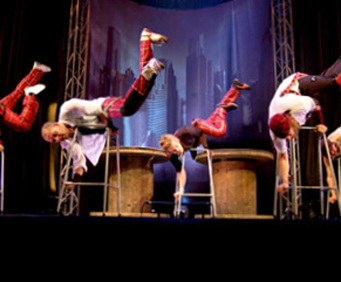 Be stunned and elated at the technical choreography and high quality production technology. 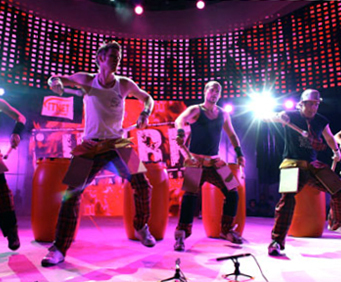 The Swedish group of five Nikke, Reggie, Joey, Bobo and Tymac conceived the idea of this new form of entertainment in 2002 and went live with the first show in 2003 in Varberg Sweden. All five combine their individual expertise to produce a show unlike any other! They have performed on the Swedish TV show Allsang pa Skansen, the opening ceremony of the European Athletics Championship, the Eurovision Song Contest, and the Romanian dance show Dansez Pentru Tine. 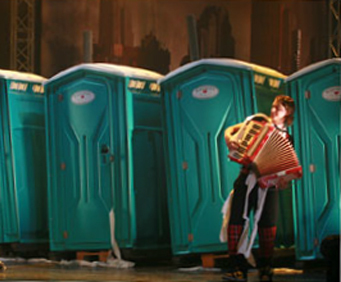 The group has toured in Denmark, Germany, Romania, and Turkey. This show is truly world renowned. Make sure to catch these globetrotters in Branson by reserving your ticket online today. 1st time we attended this theater/show. Our party of ten ranged in age from 5 years to 65 years and was a show enjoyed by all. Lots of talent. Ticketing was great through your site. Thanks. Excellent entertainment. Lots of energy, talented musicians, and great dancers. Very satisfied with performance and would attend this show again.